These highlights do not include all the information needed to use GABAPENTIN CAPSULES safely and effectively. See full prescribing information for GABAPENTIN CAPSULES. To report SUSPECTED ADVERSE REACTIONS, contact Exelan Pharmaceuticals, Inc. at 1-855-295-7455 or FDA at 1-800-FDA-1088 or www.fda.gov/medwatch. In adults with postherpetic neuralgia, gabapentin may be initiated on Day 1 as a single 300 mg dose, on Day 2 as 600 mg/day (300 mg two times a day), and on Day 3 as 900 mg/day (300 mg three times a day). The dose can subsequently be titrated up as needed for pain relief to a dose of 1,800 mg/day (600 mg three times a day). In clinical studies, efficacy was demonstrated over a range of doses from 1,800 mg/day to 3,600 mg/day with comparable effects across the dose range; however, in these clinical studies, the additional benefit of using doses greater than 1,800 mg/day was not demonstrated. The starting dose is 300 mg three times a day. The recommended maintenance dose of gabapentin Capsules is 300 mg to 600 mg three times a day. Dosages up to 2,400 mg/day have been well tolerated in long-term clinical studies. Doses of 3,600 mg/day have also been administered to a small number of patients for a relatively short duration, and have been well tolerated. Administer gabapentin capsules three times a day using 300 mg or 400 mg capsules. The maximum time between doses should not exceed 12 hours. Hard Gelatin Capsules size â€œ3â€ with White Opaque Cap and White Opaque Body imprinted with 100 mg and IG321. Hard Gelatin Capsules size â€œ0â€ with Yellow Opaque Cap and Yellow Opaque Body imprinted with 300 mg and IG322. Hard Gelatin Capsules size â€œ0â€ with Orange Opaque Cap and Orange Opaque Body imprinted with 400 mg and IG323. Gabapentin capsules are contraindicated in patients who have demonstrated hypersensitivity to the drug or its ingredients. Patients taking gabapentin should not drive until they have gained sufficient experience to assess whether gabapentin impairs their ability to drive. Driving performance studies conducted with a prodrug of gabapentin (gabapentin enacarbil tablet, extended release) indicate that gabapentin may cause significant driving impairment. Prescribers and patients should be aware that patientsâ€™ ability to assess their own driving competence, as well as their ability to assess the degree of somnolence caused by gabapentin, can be imperfect. The duration of driving impairment after starting therapy with gabapentin is unknown. Whether the impairment is related to somnolence [see Warnings and Precautions (5.4)] or other effects of gabapentin is unknown. 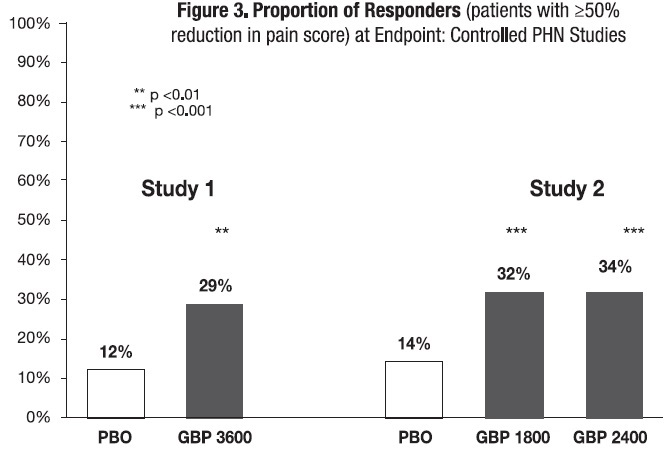 During the controlled trials in patients with post-herpetic neuralgia, somnolence and dizziness were reported at a greater rate compared to placebo in patients receiving gabapentin, in dosages up to 3,600 mg per day: i.e., 21% in gabapentin-treated patients versus 5% in placebo-treated patients for somnolence and 28% in gabapentin-treated patients versus 8% in placebo-treated patients for dizziness. Dizziness and somnolence were among the most common adverse reactions leading to discontinuation of gabapentin. In the placebo-controlled epilepsy studies in patients >12 years of age, the incidence of status epilepticus in patients receiving gabapentin was 0.6% (3 of 543) versus 0.5% in patients receiving placebo (2 of 378). Among the 2,074 patients >12 years of age treated with gabapentin across all epilepsy studies (controlled and uncontrolled), 31 (1.5%) had status epilepticus. Of these, 14 patients had no prior history of status epilepticus either before treatment or while on other medications. Because adequate historical data are not available, it is impossible to say whether or not treatment with gabapentin is associated with a higher or lower rate of status epilepticus than would be expected to occur in a similar population not treated with gabapentin. When gabapentin is administered with morphine, patients should be observed for signs of central nervous system (CNS) depression, such as somnolence, sedation and respiratory depression [see Clinical Pharmacology (12.3)]. In studies in which rats received oral doses of gabapentin (500 to 2,000 mg/kg/day) during pregnancy, adverse effect on offspring development (increased incidences of hydroureter and/or hydronephrosis) were observed at all doses. 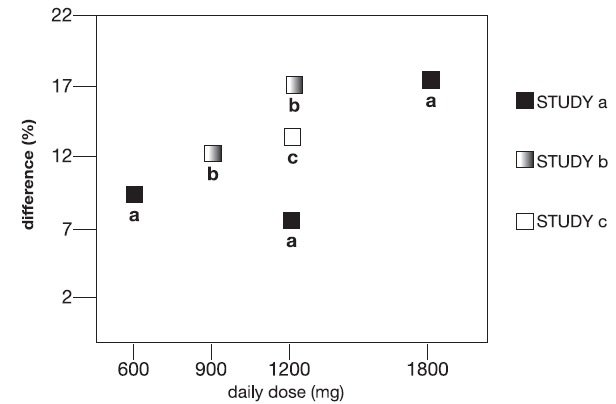 The lowest dose tested is similar to the MRHD on a mg/m2 basis. When pregnant rabbits were treated with gabapentin during the period of organogenesis, an increase in embryofetal mortality was observed at all doses tested (60 mg, 300 mg, or 1,500 mg/kg). The lowest dose tested is less than the MRHD on a mg/m2 basis. Dosage adjustment in adult patients with compromised renal function is necessary [see Dosage and Administration (2.3)and Clinical Pharmacology (12.3)]. Pediatric patients with renal insufficiency have not been studied. Acute oral overdoses of gabapentin up to 49 grams have been reported. In these cases, double vision, slurred speech, drowsiness, lethargy, and diarrhea, were observed. All patients recovered with supportive care. Coma, resolving with dialysis, has been reported in patients with chronic renal failure who were treated with gabapentin. The inactive ingredients are mannitol, pre-gelatinized starch and talc. The 100 mg capsule shell contains titanium dioxide. The 300 mg capsule contains FD&C Red 40, D&C Yellow 10 and titanium dioxide. The 400 mg capsule shell contains FD&C Red 40, D&C Yellow 10 and titanium dioxide. The effect of age was studied in subjects 20 to 80 years of age. Apparent oral clearance (CL/F) of gabapentin decreased as age increased, from about 225 mL/min in those under 30 years of age to about 125 mL/min in those over 70 years of age. Renal clearance (CLr) and CLr adjusted for body surface area also declined with age; however, the decline in the renal clearance of gabapentin with age can largely be explained by the decline in renal function. 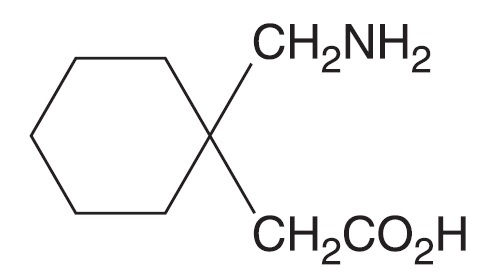 [see Dosage and Administration (2.4)and Use in Specific Populations (8.5)]. A population pharmacokinetic analysis was performed in 253 pediatric subjects between 1 month and 13 years of age. Patients received 10 to 65 mg/kg/day given three times a day. Apparent oral clearance (CL/F) was directly proportional to creatinine clearance and this relationship was similar following a single dose and at steady state. Higher oral clearance values were observed in children <5 years of age compared to those observed in children 5 years of age and older, when normalized per body weight. The clearance was highly variable in infants <1 year of age. The normalized CL/F values observed in pediatric patients 5 years of age and older were consistent with values observed in adults after a single dose. The oral volume of distribution normalized per body weight was constant across the age range. Subjects (N=60) with renal impairment (mean creatinine clearance ranging from 13 mL/min to 114 mL/min) were administered single 400 mg oral doses of gabapentin. The mean gabapentin half-life ranged from about 6.5 hours (patients with creatinine clearance >60 mL/min) to 52 hours (creatinine clearance <30 mL/min) and gabapentin renal clearance from about 90 mL/min (>60 mL/min group) to about 10 mL/min (<30 mL/min). Mean plasma clearance (CL/F) decreased from approximately 190 mL/min to 20 mL/min [see Dosage and Administration (2.3) and Use in Specific Populations (8.6)]. Pediatric patients with renal insufficiency have not been studied. 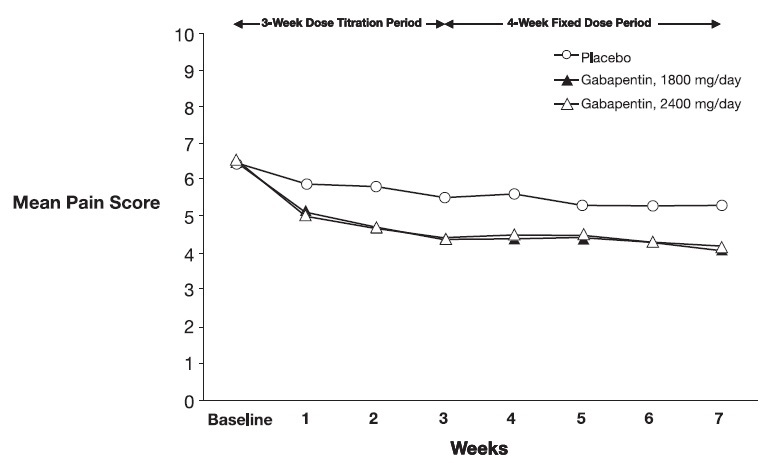 In a study in anuric adult subjects (N=11), the apparent elimination half-life of gabapentin on nondialysis days was about 132 hours; during dialysis the apparent half-life of gabapentin was reduced to 3.8 hours. Hemodialysis thus has a significant effect on gabapentin elimination in anuric subjects [see Dosage and Administration (2.3)and Use in Specific Populations (8.6)]. 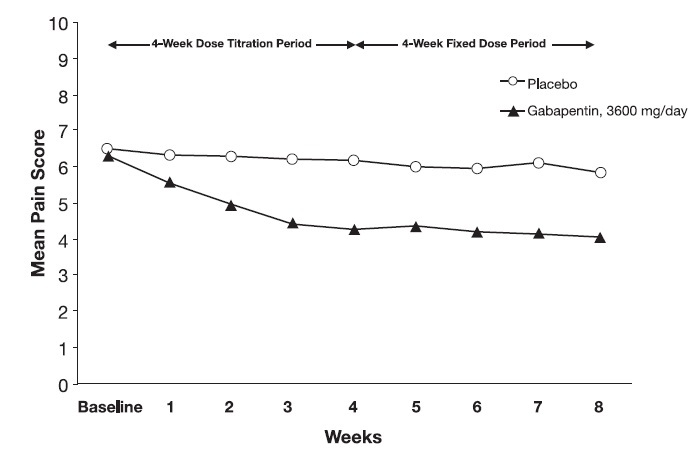 A fourth study in pediatric patients age 3 to 12 years compared 25 mg/kg/day to 35 mg/kg/day gabapentin (N=118) with placebo (N=127). For all partial seizures in the intent-to-treat population, the response ratio was statistically significantly better for the gabapentin group (-0.146) than for the placebo group (-0.079). For the same population, the responder rate for gabapentin (21%) was not significantly different from placebo (18%). Hard Gelatin Capsules size â€œ3â€ with White Opaque Cap and White Opaque Body imprinted with 100 mg and IG321, filled with White to Off-white powder; supplied in bottles of 90â€™s count (NDC 76282-321-90), 100â€™s count (NDC 76282-321-01), 180â€™s count (NDC 76282-321-18), 270â€™s count (NDC 76282-321-27) and 500â€™s count (NDC 76282-321-05). Hard Gelatin Capsules size â€œ0â€ with Yellow Opaque Cap and Yellow Opaque Body imprinted with 300 mg and IG322, filled with White to Off-white powder; supplied in bottles of 30â€™s count (NDC 76282-627-30), 60â€™s count (NDC 76282-627-60), 90â€™s count (NDC 76282-627-90), 100â€™s count (NDC 76282-627-01), 180â€™s count (NDC 76282-627-18), 270â€™s count (NDC 76282-627-27) and 500â€™s count (NDC 76282-627-05). Hard Gelatin Capsules size â€œ0â€ with Orange Opaque Cap and Orange Opaque Body imprinted with 400 mg and IG323, filled with White to Off-white powder; supplied in bottles of 90â€™s count (NDC 76282-323-90), 100â€™s count (NDC 76282-323-01), 270â€™s count (NDC 76282-323-27) and 500â€™s count (NDC 76282-323-05). Store at 20°C to 25°C (68° to 77°F). [see USP Controlled Room Temperature]. Advise patients that gabapentin may cause dizziness, somnolence, and other symptoms and signs of CNS depression. Other drugs with sedative properties may increase these symptoms. Accordingly, although patientsâ€™ ability to determine their level of impairment can be unreliable, advise them neither to drive a car nor to operate other complex machinery until they have gained sufficient experience on gabapentin to gauge whether or not it affects their mental and/or motor performance adversely. Inform patients that it is not known how long this effect lasts [see Warnings and Precautions (5.3)and Warnings and Precautions (5.4)]. Instruct patients to notify their physician if they become pregnant or intend to become pregnant during therapy, and to notify their physician if they are breast feeding or intend to breast feed during therapy [see Use in Specific Populations (8.1)and (8.2)]. What is the most important information I should know about gabapentin capsules? Do not stop taking gabapentin capsules without first talking to your healthcare provider. Stopping gabapentin capsules suddenly can cause serious problems. 1. Suicidal Thoughts. Like other antiepileptic drugs, gabapentin capsules may cause suicidal thoughts or actions in a very small number of people, about 1 in 500. Do not stop taking gabapentin capsules without first talking to a healthcare provider. Stopping gabapentin capsules suddenly can cause serious problems. Stopping a seizure medicine suddenly in a patient who has epilepsy can cause seizures that will not stop (status epilepticus). 2. Changes in behavior and thinking - Using gabapentin capsules in children 3 to 12 years of age can cause emotional changes, aggressive behavior, problems with concentration, restlessness, changes in school performance, and hyperactivity. These symptoms may be the first signs of a serious reaction. A healthcare provider should examine you to decide if you should continue taking gabapentin capsules. Who should not take gabapentin capsules? Do not take gabapentin capsules if you are allergic to gabapentin or any of the other ingredients in gabapentin capsules. See the end of this Medication Guide for a complete list of ingredients in gabapentin capsules. What should I tell my healthcare provider before taking gabapentin capsules? are pregnant or plan to become pregnant. It is not known if gabapentin can harm your unborn baby. Tell your healthcare provider right away if you become pregnant while taking gabapentin. You and your healthcare provider will decide if you should take gabapentin while you are pregnant. Pregnancy Registry: If you become pregnant while taking gabapentin capsules, talk to your healthcare provider about registering with the North American Antiepileptic Drug (NAAED) Pregnancy Registry. The purpose of this registry is to collect information about the safety of antiepileptic drugs during pregnancy. You can enroll in this registry by calling 1-888-233-2334.
are breast-feeding or plan to breast-feed. Gabapentin can pass into breast milk. You and your healthcare provider should decide how you will feed your baby while you take gabapentin capsules. Taking gabapentin capsules with certain other medicines can cause side effects or affect how well they work. Do not start or stop other medicines without talking to your healthcare provider. How should I take gabapentin capsules? Take gabapentin capsules exactly as prescribed. Your healthcare provider will tell you how much gabapentin capsules to take. Do not change your dose of gabapentin capsules without talking to your healthcare provider. Take gabapentin capsules with water. If you take an antacid containing aluminum and magnesium, such as Maalox®, Mylanta®, Gelusil®, Gaviscon®, or Di-Gel®, you should wait at least 2 hours before taking your next dose of gabapentin capsules. If you take too much gabapentin capsules, call your healthcare provider or your local Poison Control Center right away at 1-800-222-1222. What should I avoid while taking gabapentin capsules? Do not drink alcohol or take other medicines that make you sleepy or dizzy while taking gabapentin capsules without first talking with your healthcare provider. Taking gabapentin capsules with alcohol or drugs that cause sleepiness or dizziness may make your sleepiness or dizziness worse. Do not drive, operate heavy machinery, or do other dangerous activities until you know how gabapentin capsules affects you. Gabapentin capsules can slow your thinking and motor skills. What are the possible side effects of gabapentin capsules? These are not all the possible side effects of gabapentin capsules. For more information, ask your healthcare provider or pharmacist. How should I store gabapentin capsules? Store gabapentin capsules at 20° to 25°C (68° to 77°F). [see USP controlled room temperature]. Keep gabapentin capsules and all medicines out of the reach of children. Medicines are sometimes prescribed for purposes other than those listed in a Medication Guide. Do not use gabapentin capsules for a condition for which it was not prescribed. Do not give gabapentin capsules to other people, even if they have the same symptoms that you have. It may harm them. This Medication Guide summarizes the most important information about gabapentin capsules. If you would like more information, talk with your healthcare provider. You can ask your healthcare provider or pharmacist for information about gabapentin capsules that was written for healthcare professionals. For more information about gabapentin capsules, or to report side effects regarding gabapentin capsules, please call Exelan Pharmaceuticals, Inc. at 1-855-295-7455. What are the ingredients in gabapentin capsules? Inactive ingredients: The inactive ingredients are mannitol, pre-gelatinized starch and talc. The 100 mg capsule shell contains titanium dioxide. The 300 mg capsule contains FD&C Red 40, D&C Yellow 10 and titanium dioxide. The 400 mg capsule shell contains FD&C Red 40, D&C Yellow 10 and titanium dioxide. All brand names listed are the registered trademarks of their respective owners and are not trademarks of Exelan Pharmaceuticals, Inc.